Growing up in a Mexican household, I always wished celebrated Dia De Los Muertos (also known as Day of the Dead). It's a Mexican holiday in which you pay respects to the deceased by bringing them food and other possessions. It happens on October 31 through November 2. 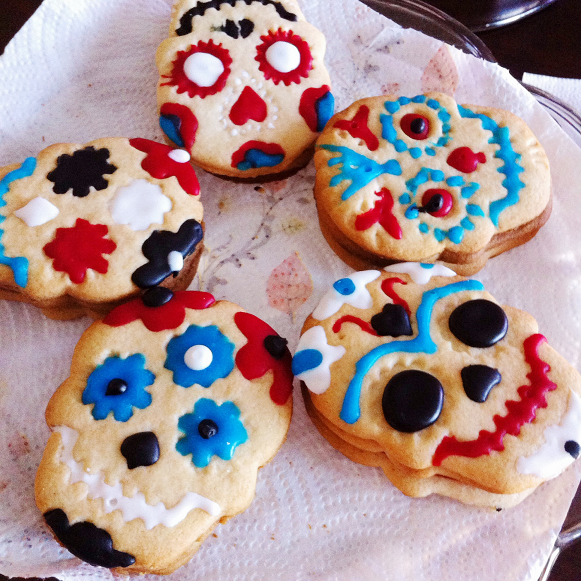 In honor of Dia De Los Muertos and Halloween, me and my sister made these sugar skull pinata cookies. 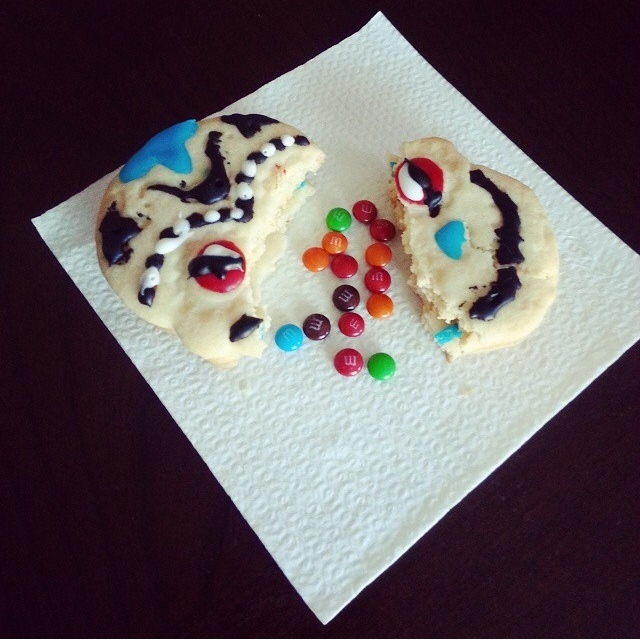 We used the same pinata cookie recipe we used to make the Sailor Moon brooch cookies. I would've taken more pictures but unfortunately the cookies were all gone before I could snap more. 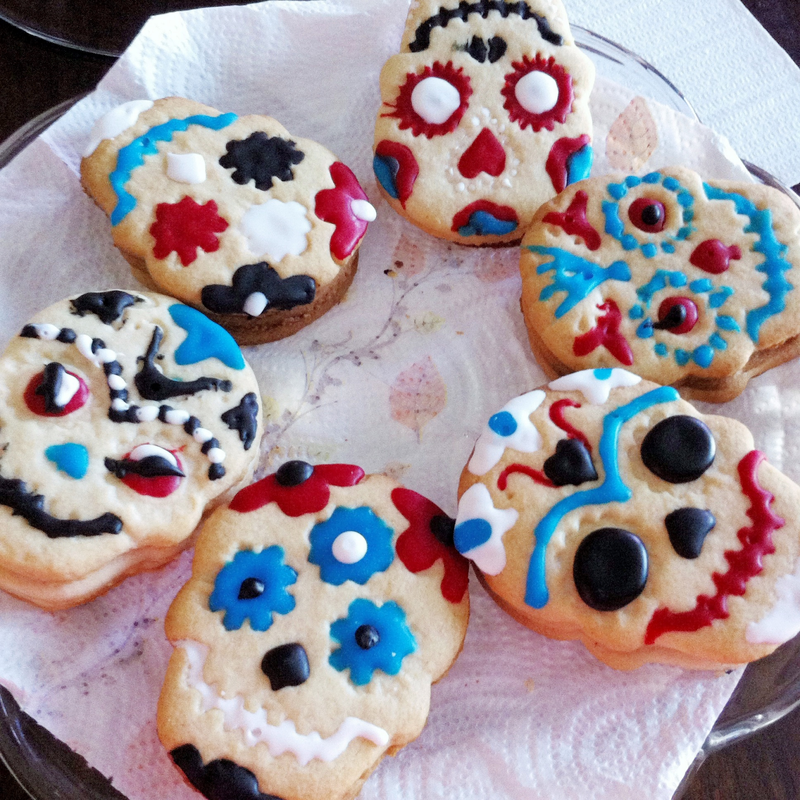 We followed the directions in the pinata cookie video but we used sugar skull cookie cutters instead to create the skull shape and faces. 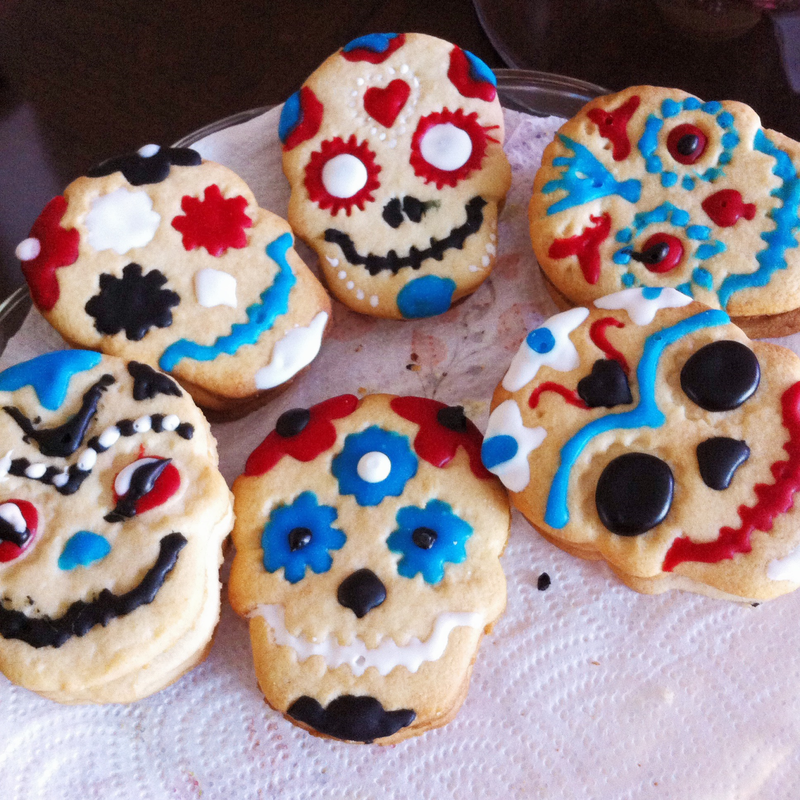 I decorated most of the cookies by tracing the skull face imprints with various colorful cake frosting (I used a toothpick to control the details better). Here is what the inside of the cookies look like. You can choose whatever candy to put inside. We used mini M&M's and they worked perfectly! 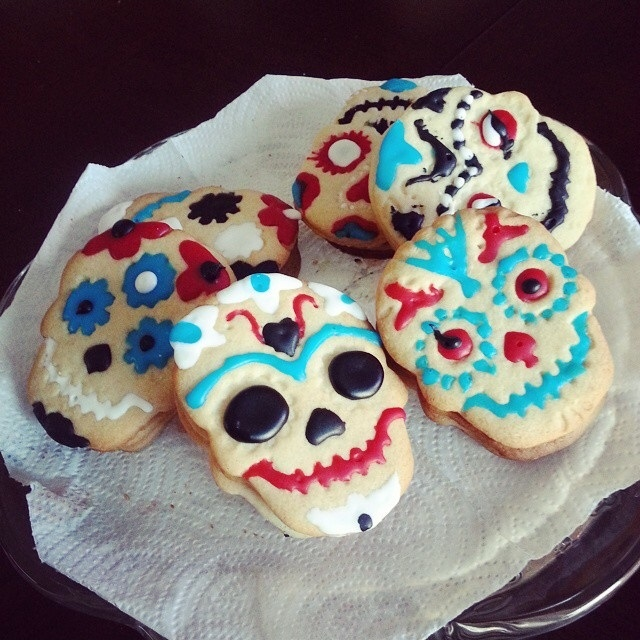 Do any of you celebrate Dia De Los Muertos?